Save the dinos! Over the weekend, we were treated to a brand new trailer for J.A. Bayona's dinosaur sequel Jurassic World: Fallen Kingdom, hitting theaters this June. Along with this debut, a new viral website has popped up online for something called the "Dinosaur Protection Group" - with a team lead by Bryce Dallas Howard's character Claire Dearing. 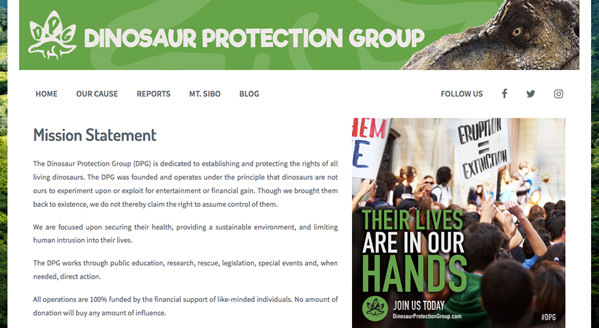 The site explains that the DPG is "dedicated to establishing and protecting the rights of all living dinosaurs." 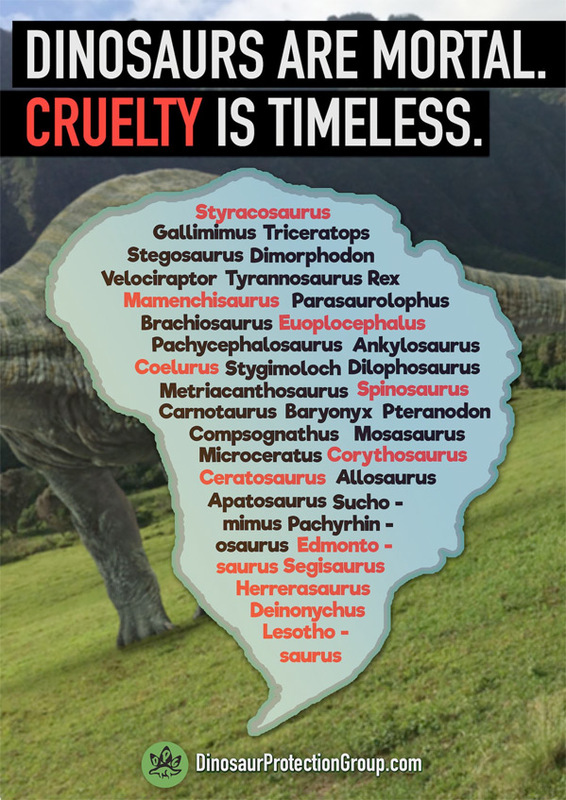 It also states that "dinosaurs are not ours to experiment upon or exploit for entertainment or financial gain. Though we brought them back to existence, we do not thereby claim the right to assume control of them." Ain't that the truth. There's also a Volcano Watch page which ties right into the plot of the film where they go back to the island in hopes of saving some dinos before this volcano erupts. Though, based on the first footage, it erupts when they're there and then they must escape. Thanks to ComingSoon for the tip. Stay tuned for more updates on the #DPG by following them on Twitter @dinoprotectgrp and on Facebook. I'm curious to see how this site becomes more active closer to release. You can also watch the first official trailer for Fallen Kingdom here, or the second Super Bowl trailer here. Set several years after Jurassic World, this sequel is about a volcano on Isla Nublar that threatens the dinosaurs that had overrun the park. Dino trainer Owen Grady and former park manager Claire Dearing return to figure out how to get the dinosaurs off the island safely. Jurassic World: Fallen Kingdom is directed by acclaimed Spanish filmmaker J.A. Bayona (follow him on Twitter @FilmBayona), of the films The Orphanage, The Impossible, and A Monster Calls (also known as 7 Minutes After Midnight) previously. The screenplay is written by Colin Trevorrow & Derek Connolly; based on the characters created by Michael Crichton. Universal will release Bayona's Jurassic World: Fallen Kingdom in theaters everywhere starting June 22nd, 2018 this summer. Who's excited for more dinosaur mayhem now? Follow @JurassicWorld.